This is a non-paying position. You will be learning about horses or expanding on your knowledge while here. We are looking for someone who wants to assist a nonprofit facility that focuses on rehabilitation of horses and educating the community. Please have your profile filled out. If you cannot provide a "basic" resume' with references then we will not consider. You will be responsible for assisting with morning feed, mucking stalls, barn chores, learning to fix feeds & prepare buckets, sweeping and vacuuming the feed-tack rooms, and much more. If no horse experience you will begin to learn about haltering, leading, grooming, picking up feet and other basic horse handling. If you have experience with horses you will be given additional duties to expand your knowledge and gain experience. Must be an EARLY riser. Opportunity to learn, build confidence, help horses to have a second chance at life. We do a lot of medical here and you can gain insight into this by being here. Mornings are the busiest time when you will be working. Afternoon time allows for someone to do online study until evening feed so if your going to school this is a good way to do it and help horses at the same time. Someone with initiative and organized, people skills, not afraid of physical work. No princesses or entitled attitudes - We don't do drama. Someone 19 or older, single. Proper barn attire MANDATORY. No alcohol/drugs allowed on property. We are like "family" here, community where we all work together. We need someone we can trust with the care of our horses and to be in our home. We do not use harsh training methods or harsh tack here. No abuse is tolerated. For those with experience: Someone with basic knowledge of feeding, lounging, exercise riding, training and handling horses. Must know how to clean tack and tack horses. Must use leg wraps/polos/boots when exercising horses. If time/position avaliable you will be evaluated on your riding to possible exercise ride horses. For those with NO experience: Someone willing to learn to work handling barn chores and haltering, leading, grooming of horses to begin your learning in the equne feild. Someone with people skills who can work with the volunteers who come here to learn. Must be 19 or older for the Working Student Position. 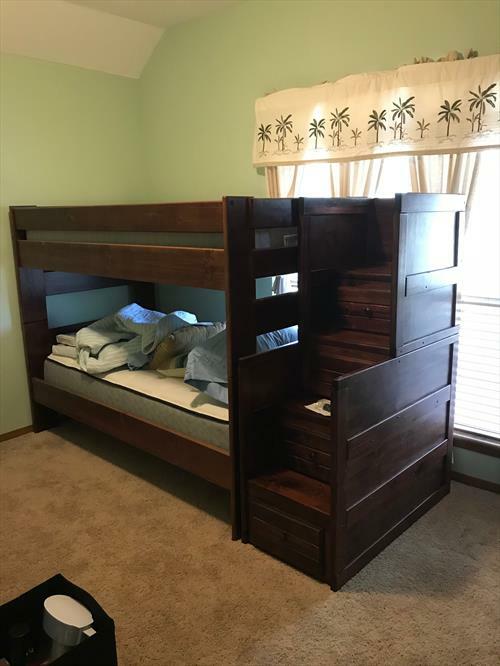 Must be able to keep your quarters clean and organized including the Guest Bath. Please remember you are living in our home. This is a chance for you to build your resume'. Will pick up from airport. Can assist with transport to town. Meals provided, Wi-Fi, Cable and housing. Room to share with possible two(2) others if here. Must clean own dishes, cooking area. Must be early riser to feed then move on to barn chores, grooming, etc. 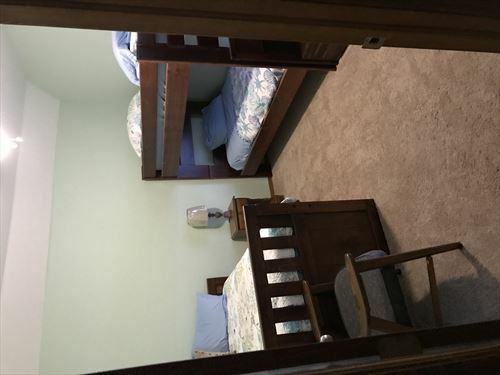 We provide you with a Dorm type room in main house that is shared, full bath in hall, bathroom supplies, laundry supplies, meals, snacks, etc. You are required to clean bathroom once weekly and keep your room in order/clean 5 miles from town, shopping. Benefit from helping horses have a second chance at life as well as helping others learn. Work reference for those who stay for a minimum of 3 months. Opportunity to work with various breeds, temperaments, levels of training and more. A way to challenge yourself to build on skills you want to develop. **UPDATED** SEPT, 2018: This is a great place for anyone who is serious about helping horses and people to get a second chance at life. You are provided a nice place to stay on site and are treated more like a family member than staff. As the barn manager or trainee you will get the chance to work with a lot of horses which need bringing up and training without the pressure or extreme conditions found when working at a show stables. The work is easy, fun and flexible. Lots of Rescue horses come and go and just need a dedicated person willing to work hard, manage the stables and spend the extra time giving them love and attention. The horses are all quiet and friendly and the people and staff are just as kind. You wont find a better place than Horse Feathers to work if you are looking for great company, a wonderful learning experience and a place to call home. I first came to Horse Feathers in 2012 and have since returned in 2018 to give clinics here. I am now an FEI II Coach and have noticed huge upgrades in the facility. There is a decent sized riding arena, round pen and stables and even a heated / air conditioned classroom! You bring to the table whatever ideas and skills you want, this is the place to test yourself as a leader and put your horse knowledge to good use! I would recommend this place highly as its a very rewarding experience to have your passion result in the rehoming of adoptable horses that get a second chance at life! This is a great place to practice your skills. 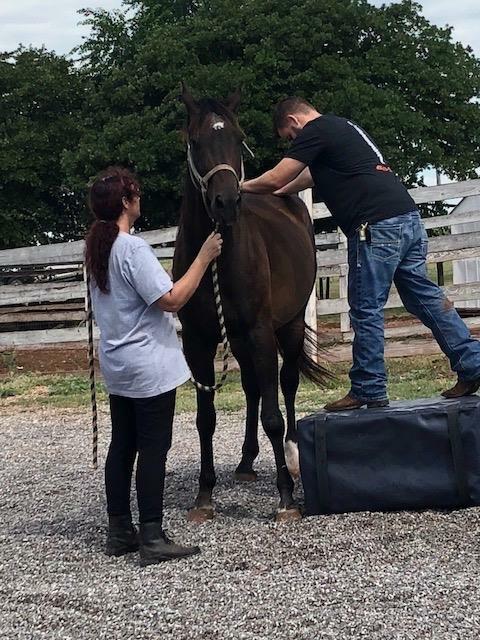 If you have a lot of knowledge and experience you will get a lot of opportunities to work with horses getting a second chance at life, including riding and training as well as working with vet, farrier, and dentist to make sure the horses have the best care. Even if you have limited or no horse experience they are very happy to teach you and you will learn a lot! People are very inviting and a close community, they have wonderful people come in to help as well as people on site. You get out what you put in, so if you want to learn a ton this is a great place to put in solid effort. This is a position that would be a wonderful learning opportunity for anyone wanting to pursue their own career in the equestrian industry. Opportunity for riding lessons to develop clientele and training horses to be adopted. Room/Board/Meals here in main house. Opportunity to attend clinics when held here.